Brian Sunohara has been a lawyer with Rogers Partners LLP since 2003. He has a broad civil litigation practice that involves most areas of personal injury and insurance law. Brian has a particular focus on occupiers’ liability and product liability claims, and on all aspects of motor vehicle accident litigation. Brian has appeared before the Court of Appeal for Ontario and the Ontario Superior Court of Justice. He has been lead counsel in jury and judge-alone trials. 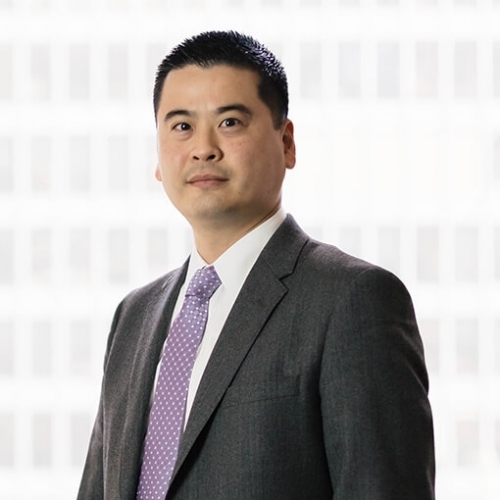 He has also been lead counsel in several private arbitrations and administrative tribunal proceedings, including matters before the Workplace Safety and Insurance Appeals Tribunal, the Environmental Review Tribunal, and the Financial Services Commission of Ontario. Brian is head of the firm’s committee on continuing professional development and editor of the firm’s newsletter. He regularly writes articles on the latest developments in the law. Feel free to get in touch with Brian at 416.594.4528 or brian.sunohara@rogerspartners.com.